This month, we're giving you the chance to win a fantastic Pentax K-3 DSLR + 18-55mm WR lens kit courtesy of Ricoh Imaging UK! 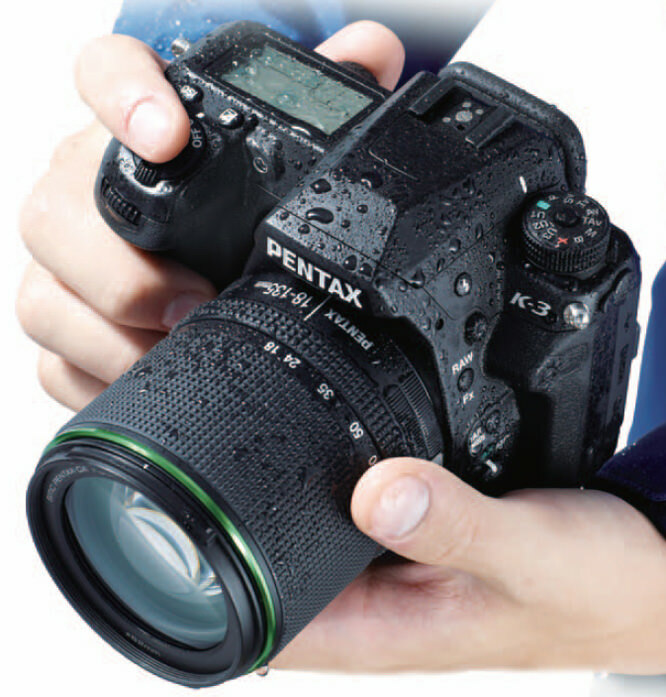 The Pentax K-3 is a flagship DSLR featuring a weather resistant body with 92 protection seals, a 24 megapixel stabilised CMOS sensor, advanced anti moire function, 86,000 pixel RGB exposure meter and 8.3 fps continuous shooting. Because of the K-3's weatherproof capabilities, we want to see your best 'Weather' themed shots to be in with a chance of winning this fantastic camera. We want to see shots of everything the weather has to throw at you, from thunder storms and heavy rain, to bright sunshine and gusty winds. Show us images of weather affecting the landscape, weather in action and the aftermath of weather. It doesn't matter if the shot is a macro of raindrops in your back garden or a panoramic vista of a sandstorm in the Sahara desert, we want to see it all! Two entries are allowed per person and the competition closes on 31 July 2014. Head over to the competition page to enter now.